Kingman Arizona Real Estate: Time To Sell in Kingman? Time To Sell in Kingman? ONLY 160 homes for sale in Kingman!!! 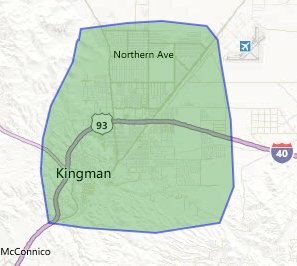 As of today there are only 160 single family (site built) homes for sale in Kingman Arizona within the green highlighted area on the map pictured to the left. Inventory is very low right now and the homes on the market are getting offers and most are selling quickly! The low supply of homes has made a slight increase in price for most sellers in Kingman. The new listings have been getting priced higher than before and many of them are still getting offers. This is a good sign to sell your home if you have been thinking about selling. As a seller in today's market you would have the advantage with the low inventory of homes in Kingman which would help you sell your home quickly and at a good price with not much competition. If you are thinking about selling and would like a detailed valuation on your home please feel free to contact us directly at 928-377-5640 or visit our website to request a home valuation at www.KingmanHomeFinder.com.